Takeaway: Channeling is often misdiagnosed as a line belly issue, which cannot be repaired using trenchless technology. Only a trained trenchless technician can determine which it is. A line belly or channeling issue is every homeowners’ worst nightmare. Suddenly, the water will not drain as it should. You may have suspected problems for months, but it just didn’t seem like a huge deal until the system stopped working. A technician comes out and tells you it could be a line belly or a channel. The differences are subtle. When the slope of the pipe is no longer positive, it is known as a line belly. This bend causes an accumulation of water in the low point of the line. Some of the water continues to move down the line. However, the pile becomes stagnate. Once solid waste begins to hit this collection, it settles, not advancing past the belly, causing a clog in the pipeline. There are several different reasons for a line belly. The most common cause is poor planning. During construction, crews should use a bedding of sand or crushed stone to prevent settling. However, some groups cut corners and do not prepare the trench correctly. The ground settling causes the negative slope of the line. Another common mistake is improper to support. Some lines lay on the unstable ground. These pipes need proper support in the form of pipe hangers. Without them, over time, the line warps out of shape. Line belly can also be caused by numerous natural enviornmental causes such as mild earthquakes, mudslides, shifting ground and other soil-related anomalies. Channeling is a problem whose indicators are not that dissimilar to a line belly. As with line belly, water can accumulate over time, eventually causing blockages in the pipeline. However, a negative slope does not cause this problem. Instead, pipe erosion is the culprit. During the 1970s, workers used cast iron plumbing for water and sewage mains. While these were robust options for lines, the constant water running through them caused the bottoms to wear away. Eventually, the base would completely disintegrate causing a pooling of water in the pipeline. As with a belly, ultimately solid waste, dirt or other roots block the plumbing. Internal corrosion is also a cause of channeling, but mostly, it is due to the natural erosion of the bottom of the pipe lengthwise by the water running through it. As the two problems cause blockages, an experienced technician should view the line to determine what the problem is. Many plumbers employ video monitoring where they run a camera through the line to find where the blockage is and the cause, this is caused a CCTV Inspection. Unfortunately, channeling is often misdiagnosed as a line belly, due to the similarity in appearance. An experienced trenchless technician uses an additional tool known as a jetter. This tool allows them to blast away the debris to get a clearer picture of the damage. With a clear image, they can then accurately diagnose the problem as either a channel or line belly. Both line belly and channeling problems require a trained expert to repair the damage. However, depending on the issue, there are different techniques used. Unfortunately, with line belly issues there is only one recourse. Workers must dig the pipe up, cut it out, and replace it with a new line. They must also correct any foundational issues that lead to the line bellying in the first place. That means they must repack the underlying soil and add a bed of crushed stone to offer support. Owners may take the opportunity to replace any other portions of the pipeline that are beginning to wear out to keep from having a similar problem later. Trenchless technology is not an option for line belly problems because of the negative slope. The line is bent in such a way that relining the pipe would only result in a continued bend in that area. Blockages remain until the entire pipeline is replaced. While it is a smaller diameter than the previous installation, its seamless nature does not require grouting to fill the void between new and old plumbing. Line belly and channeling are both severe issues homeowners must repair. They may seem the same to the untrained eye, but they are very different and require a trained technician to spot the problem accurately. 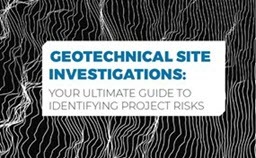 Using an inspector with a trenchless technology background can help to identify if the problem indeed is a line belly or if it is, in fact, a channeling issue.